Statistics shows that more and more people are doing their banking over the internet connection. Online banking obviously has a great number of advantages. Having a computer, smartphone or tablet with the access to the internet enables you to manage your finances anywhere and at any time. Web banking is all about the money. And to function, it requires a lot of personal data like credit card numbers, bank account information, social security number and others. That’s why it is targeted by hackers, cyber criminals, fraudsters and many others. It goes without saying that we need to be cautious when it comes to this. Here are our tips on how to have a safe and secure online banking experience. So to speak, public Wi-Fi isn’t exactly the best option to check on your bank accounts online. This type of connection is shaky and vulnerable when it comes to the security issue. Third parties can break down the defense and, as a result, get unauthorized access to your personal banking information. You can greatly benefit from using Virtual Private Networks. The strong and reliable VPN services guarantee to protect any of your information even and especially if you are connected to a free public Wi-Fi hotspot. They offer a number of security protocols based on encryption algorithms to deliver their service to you. It is simple – just try to use apps that are designed and developed by your bank. But be aware of the fact that even if it contains your bank name, it doesn’t really mean that it is so. Just double check what you see – research an app way before installing and using it for making online banking transactions. You may get a call, a text or an email requesting you to provide certain info to verify your bank account. These phishing techniques have already done a lot of damage. Don’t get tricked. By updating it you help yourself to create connections without security issues: as your software would be protected from security holes that make your device easier to hack. They will help you to keep cybercriminals away. For good. Just make sure you have the latest versions of these apps installed. And don’t forget to update them later on a regular basis. It is important to log out from the service once you finished doing online banking. Also, clean cache and erase history along with cookies. By doing so, you’ll minimize your chances of being hacked. In addition, you can turn on notifications to monitor online banking activities. You probably know about all these measures that can be taken. 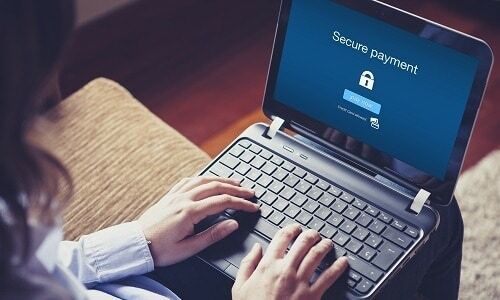 Though you might haven’t heard much about VPNs for internet banking. Well, for some individuals VPN services may be essential when it comes to online banking. As they have proven to be a useful tool for providing security, safety, privacy, and anonymity. We would like to highlight the importance of using a VPN in an unsafe area like where you connect to an open Wi-Fi hotspot. A VPN will take care of your traffic by encrypting it, so no one could intercept the data you transfer.